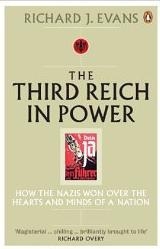 Here is an extract of the famous R.J. Evans' book : The Third Reich in Power dealing with Hans Fallada. Most of the content are largely inspired from More Lives than One, the Hans Fallada / Rudolf Ditzen Biography. But it is worth a reading, though. When he wrote Little Man - What Now?, published in June 1932, Hans Fallada created the last best-selling serious novel of the Weimar Republic. It sold over 40,000 copies in the first ten months, it was serialized in no fewer than ten daily papers, it was turned into a film, and it rescued the book’s publisher Ernst Rowohlt from almost certain bankruptcy. The title itself seemed to sum up the predicament of so many Germans in the desperate last months of 1932, when there seemed no way out of economic depression and political impasse. Many readers could identify with the novel’s protagonist, the humble clerk Johannes Pinneberg, who went through one humiliation after another. He had to come to terms with the fact that his girl-friend was pregnant. He had to marry her despite the hostility of her father. He had to go through numerous travails in order to find a flat for the couple to live in. And then he had to adjust himself to family life when the baby arrived. Inevitably, after many anxious moments, Pinneberg lost his job and joined the swelling ranks of the unemployed. But unlike other characters in the book, he did not take to crime to make ends meet. He remained upright and decent in the face of adversity. That he was able to do so was possible above all because of his wife, who after overcoming her initial inexperience, managed to create a home life that became a refuge from the cruelties and hardships of the world outside. In the end, indeed, it was the wife, ‘Lambkin’, who became the novel’s central character and whose portrayal was generally agreed to be the key element in the novel’s popularity. ‘Hans Fallada’, the pen-name of Rudolf Ditzen, born in Greifswald in1893, was not a great writer or a major literary figure. His novels and short stories achieved popularity above all because of their gritty realism and their close attention to the humdrum detail of everyday life. He was a very German figure, who would have found it difficult to make a living from his writing in any other country. Emigration, therefore, was scarcely an option, and in any case, as a largely unpolitical writer and a non-Jew, Rudolf Ditzen did not see why he should leave.A member of no political party, and too popular an author to have been elected to august bodies like the Prussian Academy of Arts, he was not considered particularly objectionable by the regime. His books were not amongst those burned on the funeral pyres of literary freedom in Germany’s university towns on 10 May 1933. But he had no other means of making a living apart from his writing, and he had an expensive drinking habit to maintain. During the Weimar Republic, nervous breakdowns and bouts of drug addiction, alcoholism and delinquency had landed him for considerable periods of time in prisons and asylums. These provided the basis for a new novel, Once a Jailbird, completed in November 1933. In order to get the book published, Ditzen felt it necessary to write a preface claiming that the appalling criminal justice system the book depicted was a thing of the past, an assertion which he must have known was the reverse of the truth. Even his publisher, Ernst Rowohlt, considered this ‘too ingratiating’. But Rowohlt himself had been obliged to make his own compromises. Half the books he had previously published were now banned, and to keep his firm going he replaced them with more acceptable titles, as well as engaging well-known right-wing figures, though not out-and-out Nazis, like Ernst von Salomon, a nationalist author who had been implicated in the murder of Walther Rathenau, the liberal, Jewish-born Foreign Minister of the early Weimar Republic. Behind the scenes, too, Rowohlt had worked to get American visas to enable his Jewish authors to emigrate, though as a private employer he was not obliged to dismiss his Jewish staff until 1936, and he kept on key figures such as Ditzen’s Jewish editor Paul Mayer. Income from the sale of foreign rights fell sharply as a result of Rowohlt’s enforced slashing of his list. Rowohlt became a Nazi Party member to try and ease his situation, while he employed Jewish typists and proof-readers and ex-Communist illustrators on a freelance basis behind the scenes. None of this saved him, however; his firm was taken over by the giant Ullstein Publishing House, itself now a part of the Nazis’ Eher Publishing House, and in July 1938 he was expelled from the Reich Literary Chamber and banned from publishing. His firm was passed over to the German Publishing Institution, which eventually wound it up. He left for Brazil, returning somewhat surprisingly in 1940 because he thought the Hitler regime by this time was on its last legs. All this made life increasingly difficult for Ditzen, who relied a good deal on the close personal support of his publisher. Retreating to his modest and remote country home in Mecklenburg, he hoped to continue to make a living by writing fairy-tales and children’s books. In his serious social novels, he aimed at making enough concessions to the regime to keep it happy, while preserving the essence of his work intact and avoiding being co-opted into the regime’s violent antisemitism. This was not easy for someone whose novels were all about contemporary German life. In 1934, Ditzen tried to strike a balance by removing all references to the brown shirts from a new edition of Little Man - What Now? He turned a violent SA man into an aggressively inclined goal-keeper, while retaining the novel’s positive depiction of its Jewish characters. He refused to modify its description of the Communist sympathies of its heroine, ‘Lambkin’. But his most recent novel, Once a Jailbird, was fiercely attacked in the Nazi press for its supposedly sympathetic attitude to criminal ‘degenerates’. Ditzen riposted with a new novel set in the rural world of North Germany, Once We Had a Child (1934), which he hoped could appeal to Nazi ideas of ‘blood and soil’. In practice lacked most of the genre’s key features such as earth-mothers, racism, anti-intellectualism and above all the view of contact with the land as a source of national renewal (the main character in fact was a failure in life and remained so to the end). Hans Fallada, Kleiner Mann - was nun? (Reinbek, 1978 );English translation by Susan Bennett, Little Man - What Now? (London, 1996). Jenny Williams, More Lives than One: A Biography of HansFallada(London, 1998), esp. 107-9, 127. More generally, see Ceciliavon Studnitz, Es war wieein Rausch: Fallada und seinLeben(Düsseldorf, 1997), and the incisive essay by Henry Ashby Turner, Jr,‘Fallada for Historians’, German Studies Review, 26 (2003), 477-92. Williams, More Lives, 135-49; Hans Fallada, WereinmalausdemBlechknapffrisst (Reinbek, 1980 ). Williams, More Lives, 149, 175-6, 188. Paul Mayer (ed. ), Ernst Rowohlt in Selbstzeugnissen und Bilddokumenten(Reinbek, 1968);Walter Kiaulehn, Mein Freund der Verleger - Ernst Rowohlt und seine Zeit (Reinbek, 1967); Rowohlt survived the war and became a leading publisher in postwar West Germany. Ibid., 150-62; Hans Fallada, Wirhatten mal ein Kind: Eine Geschichte und Geschichten (Reinbek, 1980 ). Williams, More Lives, 173-267 and 284 n. 18 (Rudolf Ditzen to Elizabeth Ditzen, 22 December 1946); Fröhlich (ed. ), Die Tagebücher, I/V. 15, 126 (31 January 1938); Hans Fallada, Altes Herz geht auf die Reise (Munich, 1981 ); Wolf unterWölfen(Reinbek, 1991 ); Der eiserne Gustav: Roman (Berlin, 1984 ); Der Trinker/Der Alpdruck(Berlin, 1987 ). See also Gunnar Müller-Waldeck and Roland Ulrich (eds. ), Hans Fallada: Sein Leben in Bildern und Briefen(Berlin, 1997). For the chequered history of Fallada/Ditzen’s brief postwar career, see Sabine Lange, ‘. . . wirhabennichtnur das Chaos, sondernwirstehen an einemBeginn’ . . . Hans Fallada 1945-1946 (Neubrandenburg, 1988).